Niños class for children up to age 5 with caregiver. Price is $85 for caregiver and child. If another sibling attends the same class the price is $75. (If another sibling attends with another adult it is the original price.) Younger sibling under 9 months at the start time of the session are free with a paid sibling in the same class! All attending children must register. Tuition for Niños class includes: 45 minutes of fun interactive songs, movements hands on activities and more in the Spanish and English language. Cards with topic we are talking about that class day, song lyrics with tune and an idea for how to incorporate it at home. 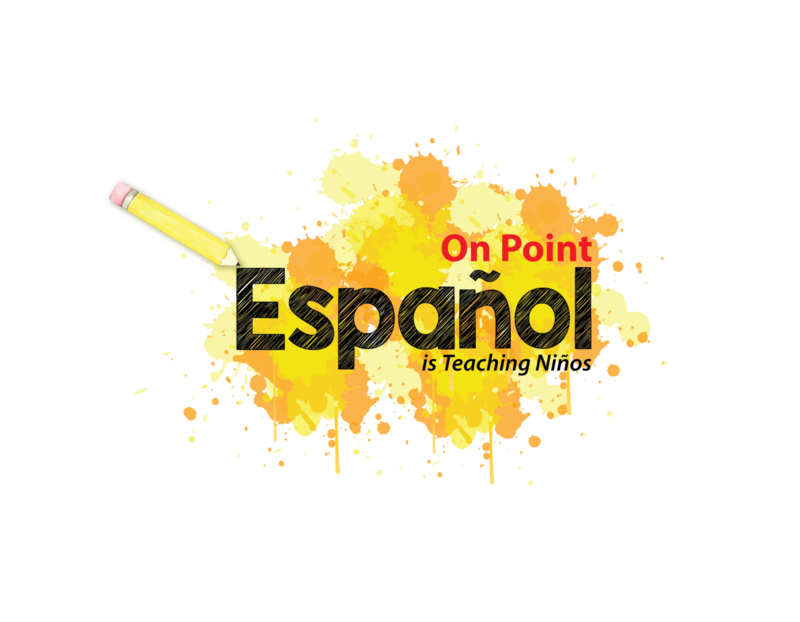 (6 different ones) Also a end of the session outline which covers Spanish vocabulary, verbs, and phrases/questions you can use at home with your child! Chicos class is for children in grades K-4th. Homeschool class is for students in grades K-6. Price for child is $85 and sibling in the same class is $75. Tuition for Chicos class inludes: 45 minutes of fun interactive activities, skits, and more using the Spanish language. Interactive notebook where we will add materials that we talk about in a given class! If you choose the "Pay later" button and send a check please send to DP Mangement Services LLC PO Box 32 Syracuse NY 13214 and made payable to DP Management Services LLC within 5 days of completing registration. We will confirm your registration and hold your spot once we have received your payment. Refunds are not available unless class is canceled. Make up class can be arranged based on availability. Copyright © 2019 On Point Español. All rights reserved.